January marked the start of a new project with my partner in words (and occasional mischief) August. Though we completed our collective writing goals in 2012, life got in the way of 2013′s project and we only carried it through September. Still, 30 first draft short stories in 18 months is pretty remarkable! Anyway, moving past the complications of 2013, we come into 2014 with a new challenge – and a new partner. So, please welcome Ron into the chaos as we attempt to write a short novel, of approximately 30,000 to 40,000 words over the course of the year. 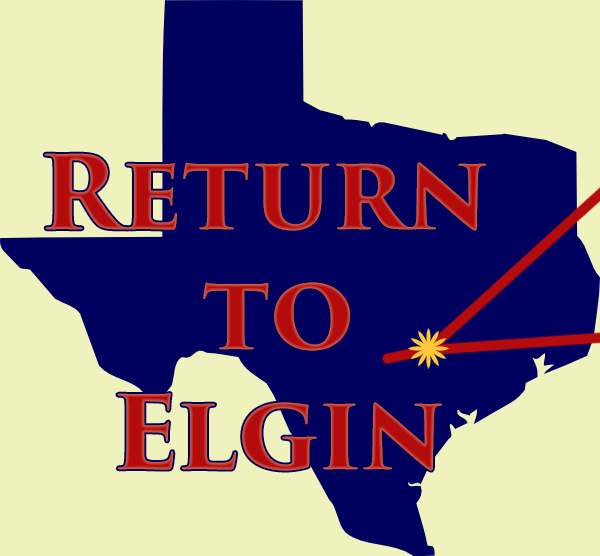 With that, welcome to Return to Elgin (a working title). Feel free to come like us on Facebook, too! We’ll post new chapters (two a month – one from me and one from August – plus four spontaneous chapters from Ron), updates, and other tidbits there throughout the year. In other Facebook news, come like my author page for updates on other stories of mine that find homes.